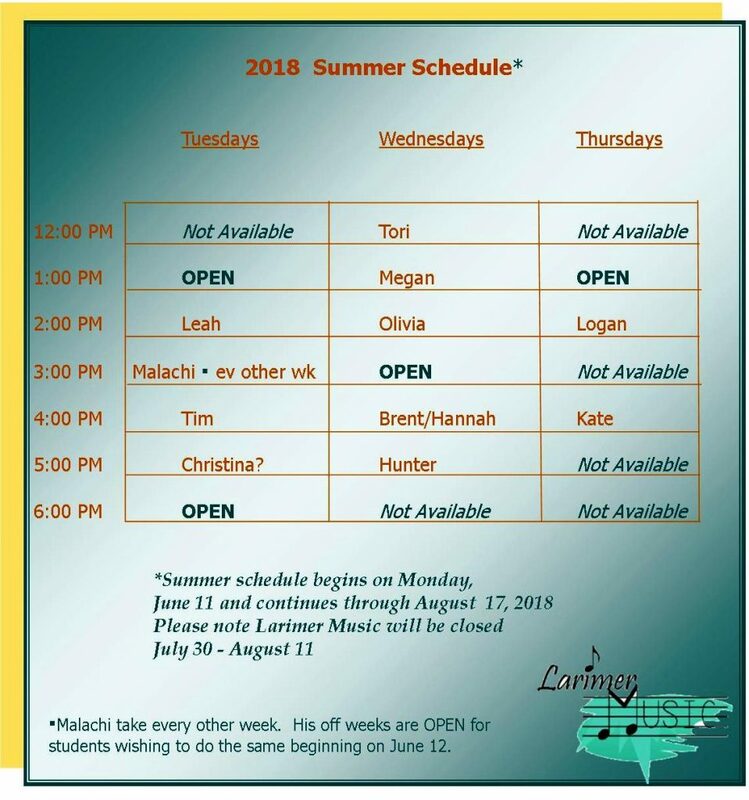 Below is our Updated 2018 Summer Lesson Schedule. 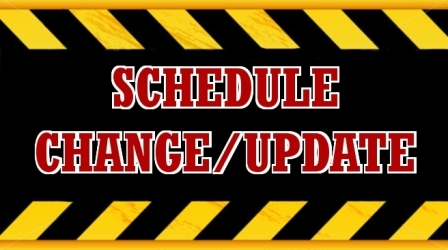 Please note that there have been a few more student’s added and a few more changes. We’ve still not heard from several of you about what time/day you would like to have this summer. Please contact us soon as the week of June 11 will be here shortly. Also, again a reminder that Larimer Music will be closed June 3-9 and July 31-August 11. Also of note is that our 4 lessons upfront payment rule will be relaxed for the summer. During June-August only, students will be allowed to pay weekly. Don’t delay, select your day/time right away!